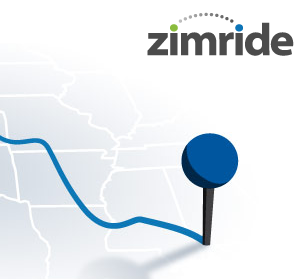 Zimride is really one of those ‘I should have thought of that’ companies – can you share the story behind the development of the idea and the creation of the service? Our CEO and Co-Founder Logan Green was inspired by what he saw on a 2005 trip to Zimbabwe—a grassroots public transportation system— and he derived the company’s name from that country. Logan has a background in transportation and web development, and he created the first car-share program at UC Santa Barbara and served on the board of the Santa Barbara Metropolitan Transit District. It was here that he started to tackle the problems in our current public transportation system. While at Cornell, in a course about city & regional planning, I really imagined what the next evolution for transportation could be—it’s grown from canals to light rail to railroads to highways, but that can’t be the end point. Changing the physical infrastructure is not the solution—we believe the answer lies at the intersection of Collaborative Consumption and the Social Graph. So, I relocated from New York City to Palo Alto in 2008 (using Zimride actually) to join Logan on his mission to reinvent transportation. How did you approach the launch of Zimride? What techniques did you utilize in gaining media attention for the launch? We initially launched as one of the first third-party applications on Facebook in 2007. In fact, we received $250,000 in seed money from a Facebook (fbFund) grant the same year. We knew we wanted Zimride to have a social element to it, and Facebook was the perfect platform to connect our users so they could build relationships and share the experiences through Zimride. We then used our success with the Facebook App to establish partnerships with universities and corporations to create private ridesharing networks for those communities. We also landed partnerships with concert producer Live Nation and car rental alternative Zipcar, further solidifying Zimride’s influence and reach. Zimride is the kind of service which requires the ‘critical mass’ point to be reached relatively quickly – how are you approaching that challenge? In order to build critical mass, we knew we had to attract young students and commuters who are already hooked into existing social networks and could benefit from the low cost of ridesharing. Zimride grew virally via online social networks and through the success of the university and corporate communities we partnered with. It was clear that as more and more people began to use Zimride, there would be a corresponding growth in the level of trust for the effectiveness and safety of our rideshare services. Initially we only allowed users from verified social networks, such as colleges, universities and companies to use the platform. This gave us a consistent, large and dependable user base. Then in August 2011, we opened our first public route, from San Francisco to Los Angeles. The route was so successful that we’ve quickly included the reverse route from Los Angeles to San Francisco. What have been some of the greatest challenges you have faced as an entrepreneur? How did you overcome them? As a startup becomes more successful, there will be many opportunities to grow in a way that is not true to the integrity of the company. Logan and I have had a very clear vision from the start, and we have not let ourselves get off track or compromise our goals. What final advice can you offer to aspiring startup founders?